Searching for a companion guide in your pursuit of sustainable living? 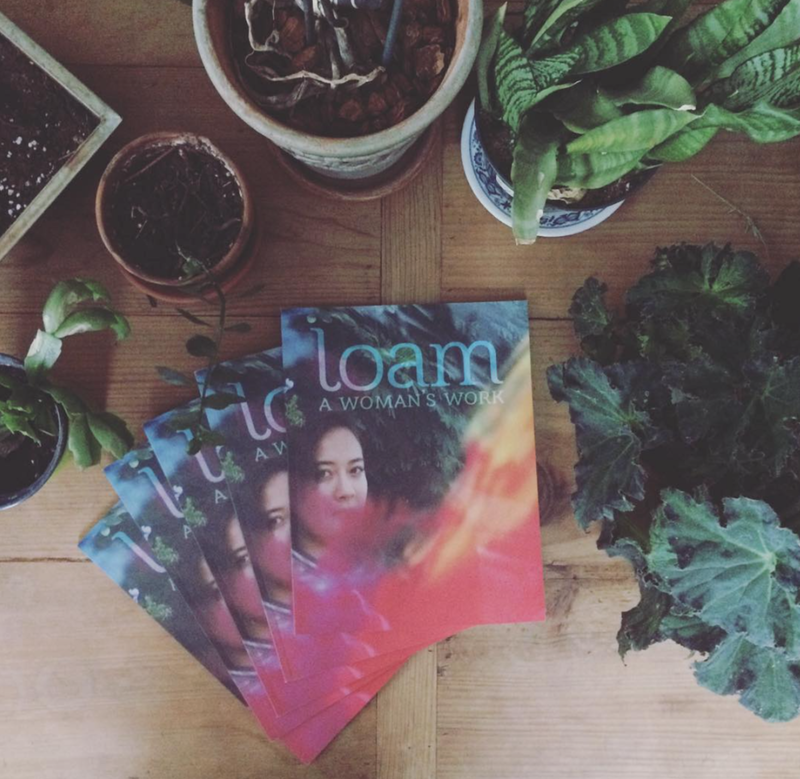 The next issue of Loam is now available for pre-order. With Trump in office, 2017 is going to push us—as people who love and want to live on this earth—to boldly create change in the face of a federal government dead set on destruction. For a million and one reasons, I have faith that we can fight this good fight and that we can win. We have local governments on our side, and growing intersectionality across grassroots movements, and a surge in radical, resilient resistance. But overwhelm, fear, sadness, and anxiety are real and valid feelings. And one of the best ways that we can sustain motivation even in those moments when paralysis is its own kind of comfort is to unapologetically be the change that we want for this world. Herewith, six shortcuts for living more sustainably when you're hungry for change but too tired for a revolution. Rest up, sweet thing, and trust that these simple steps will prep you for harder work. You might know in theory that cutting down on meat consumption and composting food scraps and supporting renewable energy is now, more than ever, unequivocally essential for our survival. But that sense of urgency, coupled with panic at a growing list of things that you must-change-right-now, can render instant resignation. So write a list of things that you can do to live more sustainably—from switching your energy bill to Arcadia Power to embracing trash-light living practices—and pick just one thing to get started on. Tell yourself, this is the week I divest from a big bank, and then go do it. Trust that with time, it will be easier to take on more and more tasks. It really is 100% okay to start small. So long as you start, you're on the right path. Sustainable living is all the more sweeter and simpler when you have friends who share your bone-deep desire to build a worm composting bin. Talk to your buddies about your collective vision for sustainable living in the new year and work together to put your plans into action. I'm feeling pretty lucky right now to have two roomies who are as passionate about trash-light living as I am. It makes all of us better, and more disciplined, at doing right by our world. Our goal in 2017? To make by hand the products—such as nut milks and condiments—that we're still buying in packaging. I deeply believe that a beautiful life is a fundamentally more sustainable life—both for our environment and for our souls. If you are having one of those eco-anxiety spirals where all you can do is curl up into a ball in bed, push yourself to find something beautiful about that moment. Maybe it's the feel of your cozy blanket or the sunlight grazing against the walls. When you give yourself permission to lap up loveliness, in the thick of your deepest sorrows and in the heart of your highest joys, you're learning how to cultivate an appreciation for what's abundant in this moment. And if there's one mindset that can counteract environmental exploitation, it's abundance. Make your own calendula oil body butter. Tackle sauerkraut. Sit down and sketch out the design for your spring garden. The small act of making something with your hands is always a reminder, to me at least, of the world I want to live in. Donating to environmental organizations such as NRDC, 350, Yes! Magazine, and the Citizens Climate Lobby is an important way to support individuals and initiatives mobilizing massive change. Even if you're tight on funds, I'm betting that with a little reframing, you can support those non-profits that are fighting tirelessly for our right to life. Consider putting the five bucks you might drop on a drink with friends one Friday night toward making a monthly donation to a charity of your choice. It's a small sum to part with, and it makes a huge impact!! I've found in my own life that budgeting for monthly donations has nurtured abundance elsewhere. I don't make a lot of money but knowing that I can swap out one splurge a month to support something I care about feeds my soul. Pick a day this month to share your voice at a town hall meeting or volunteer at a local garden. When you make it your intention to dedicate even a few hours to giving your time and energy to activating change, you inspire others to do the same. We need to be bodies in this world, full of life, passionate about creation. We need to hold one another and help one another and heal one another. That's really it.